Happy Thanksgiving week! If you're excited about Black Friday shopping binges, you need to understand that the couple in this week's guest post will probably sell whatever stuff you buy in a few years…for a profit! 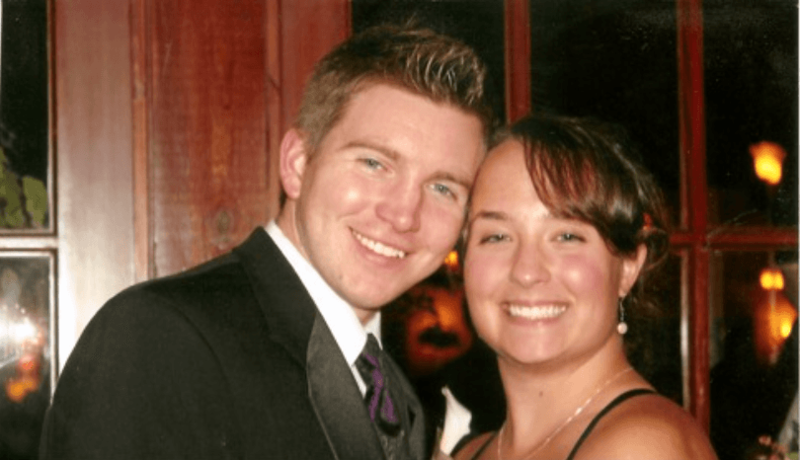 When my husband Andrew and I met 9 years ago, we were average college students with average lives. We went out on Friday nights, slept in on weekends, and worked part-time jobs to fund our fun in between classes. If you would have asked us what our goals were for the future, we probably would have shrugged and given typical answers like: get a degree, find a good job, settle down, etc. Neither of us were in finance-based majors (I was in a Pharm.D program and he was in nursing school) and for the most part, we spent whatever we earned at our student jobs. We really weren't interested in finance or side hustling at all until one day when Andrew had a conversation with his uncle about how gold and silver was money. His uncle, a successful and self-employed antique dealer, explained to him how he had been buying jewelry, tea sets, and other antiques made out of the precious metals for years and making a living by re-selling those items for market value. Maybe it was because Andrew had always hated the thought of working for someone else, or maybe it was because he was fulfilling his childhood dream of becoming a pirate with a treasure chest full of gold, but there was then a sparkle in my husband's eyes from that day forward-he had found a way out of The Grind. The way out was in the form of what is now our biggest side hustle: attending estate sales, garage sales, and antique auctions, buying used jewelry and other undervalued items, re-selling the items for profit, and investing the profits. After the conversation that started it all, Andrew's uncle gave us a crash course on how to identify gold and silver markings on jewelry and other items and then set us loose for Saturday estate sales. We failed miserably at first, buying junk and things that wouldn't sell, but we had an encouraging teacher who told us not to quit. Every week we learned from our failures and got just a little bit better. 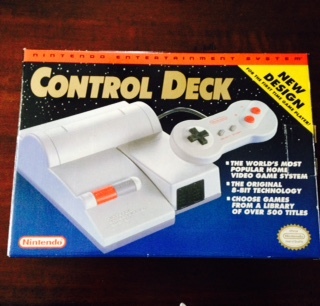 Once you waste a few dollars on a piece of junk, you never forget what it was. We went out the local garage sales and estate sales every weekend for years, and became increasingly good at finding valuable jewelry and antiques that people sold to us for nothing. While our peers were sleeping off their hangovers on Saturday mornings, we became the wierdos that got up early to stand in line at 6AM outside of someone's estate sale. We would stand there, freezing cold through snow and rain, but with a fire inside of us, focused on our goal to make money. We studied books on antiques, we researched jewelry designers, we learned how to haggle, and we went out to the sales to WIN. Since one good sale can yield more than an entire week's pay in minutes, the competition is fierce and hostile to newcomers. 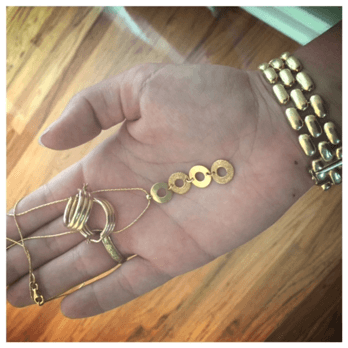 We have found some amazing things over the years: a $2 gold necklace so heavy that in scrap weight it's worth $2,000, a 50-cent serving platter that was solid sterling silver (we scrapped it for $500), gold wedding bands for $1 a piece, and so much more. Many weeks we bring home hundreds of dollars worth of items to sell online. About $800 in gold, paid less than $5 and spent about 10 minutes at the sale! After seeing how easy it was to make money off of other people's unwanted stuff and how much fun we had going scouting together, we didn't want to have to work at traditional jobs! Unfortunately though, college costs money. We had about $96,500 in loans between us after it was over, so we decided to do everything we could to rid ourselves of debt and chase down our dreams of financial independence. We began by automatically saving 50% of our income and invested every dollar that we could. We lived in an inexpensive rental, cut out luxuries, and gritted our teeth as the loans came out of forbearance one-by-one. We then pulled lump sums out of the investment accounts and dumped them onto the loans. During that time, garage sales and estate sales helped us tremendously. They not only provided us with hundreds of dollars a month in additional income, they also helped us to accessorize our place and provided us with household goods, tools, cleaning supplies, and more that we didn't have to buy retail, SAVING us hundreds more! Many people, my previous self included, perceive garage and estate sale items as likely being dirty, broken junk sold by dirty people. That's rarely the case. There are some sales where the sellers would have been better off renting a dumpster and buying some air fresheners, but they are far outnumbered by the quality sales we've attended. We've found designer furniture, clothes, purses, perfume, jewelry, antiques of all sorts, and everything in-between to both sell and use for ourselves. Granted, I had to put my germophobic tendencies on hold to accept this money saving pathway, but I soon got over any concerns I had when I realized that I could have a Nordstrom wardrobe and Pottery Barn décor for less than Wal-Mart prices. Garage sales have completely changed the way I look at retail! As of today, we've leveraged our skills and resourcefulness at garage sales with investing and determination to pay back over $170,000 in debt within the past 3 years. The entire $96,500 in student loans and $80,000 of our mortgage has been eliminated by living frugally, flipping second-hand items for profit, and investing aggressively. 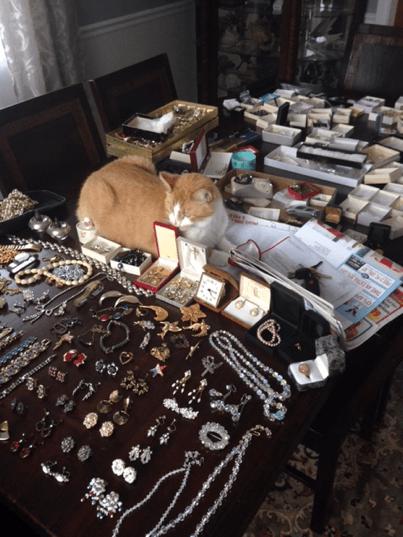 Our cat overseeing an eBay photo shoot after a garage sale. We decided to begin blogging about our unique, frugal, and at times humorous lifestyle, and named our blog Second Hand Millionaires as a tribute to where we've been and where we're headed. We want to show the world how second-hand items can make you a first-class citizen, that living below your means does not mean living below your worth, and that a little spark of passion can ignite drastic change. Thank you for reading and a huge thank you to Millennial Money Man for hosting us and allowing us to share our story! We hope to connect with you all again on our blog or you can find us on Twitter and Pinterest @2handmillionair. This, on a much smaller scale, is exactly how we emerged from 10 months of unemployment without touching our savings. We didn’t ever do jewelry, though. We had some very interesting things pass through our hands. Your story is always entertaining. Thanks for sharing! Hey Maggie, that’s fantastic you were able to stay afloat for 10 months unemployed without touching savings! We are lucky to be in high demand fields, so hopefully we will never have to test our skills in the way you did. It is much easier to get out there and scout if it’s a hobby and we aren’t relying on it to put food on the table. WOW! 10 months without touching savings is incredible!!!! 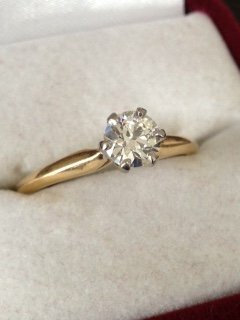 One of my clients is an estate jewelry buyer…fascinating stuff (in my opinion). What an awesome story, I’m currently trying out the fulfilled by Amazon service and buying things on clearance at stores and reselling for a profit. I have almost broke even for the cost of the merchandise and shipping but I also have about half of what I bought left to sell so when it all does I should have about $75 extra in my pocket for very little work on my part. Never heard of that…I’ll check it out! To our SHM friends, you are awesome! Garrett and a friend of ours used to be big into estate sales in their search for tools. I think we need your crash course so that we can give this a go next year! Congratulations on crushing your debt–that’s amazing! Thanks for running their story, MMM!